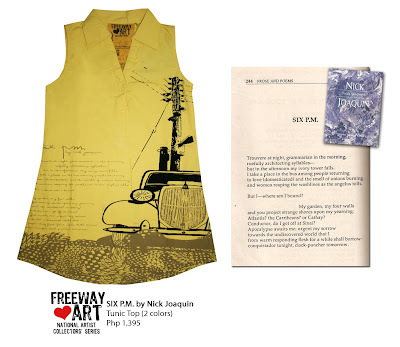 Freeway's new collection is nothing short of astounding. I couldn't be more proud. Now a days, being caught in a fashion such as this is truly worth a second look. 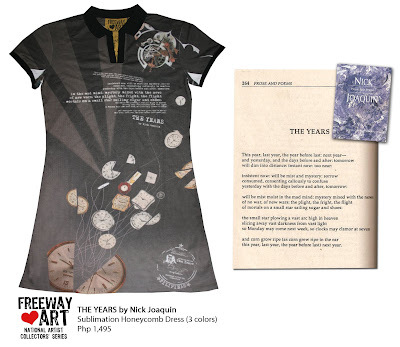 Freeway partnered with the most celebrated Filipino author in the english language, Nick Joaquin. 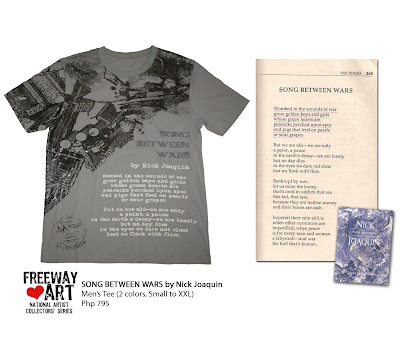 He penned numerous books that has touched the Filipino hearts. 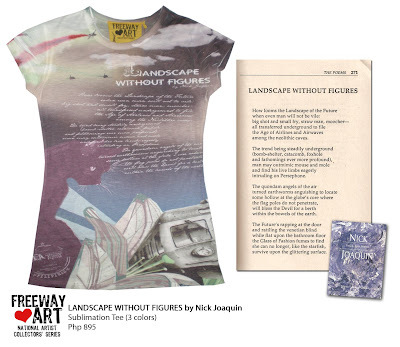 It couldn't be more appropriate to show this kind of love for the Pinoy artistry. These clothes are more than fashion. 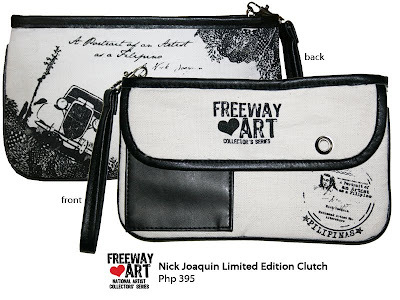 It's a statement of being a true Pinay and Pinoy. P.S. 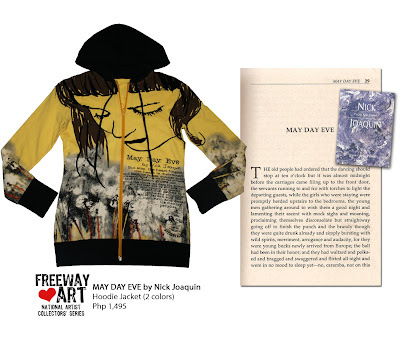 "The World of Nick Joaquin" is on display 15 Aug thru 15 Sept at the Cubao Expo. 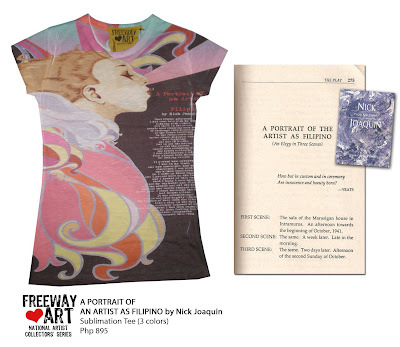 The event features the Memorabilia Exhibit of the National Artist at the Heritage Art Gallery. Showcased are his furniture & typewriter, awards, personal effects, letters, etc. National Artist Bert Avellana's film "A Portrait of the Artist as Filipino" is onscreen at the Mogwai Cinematheque. An added feature is "Siglo Filipino", the only historical documentary with rare footage of the celebrated writer, directed by Butch Nolasco. 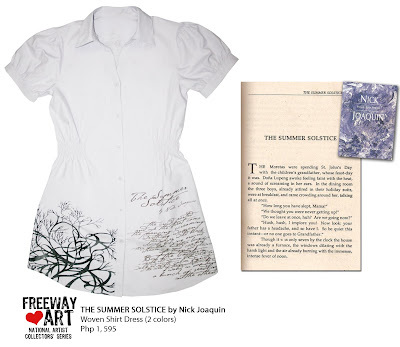 The exhibit is open 1pm-8pm daily; screenings are from 5pm-8pm daily. A minimal charge gains admission to all, plus a drink; discounted rates for students.